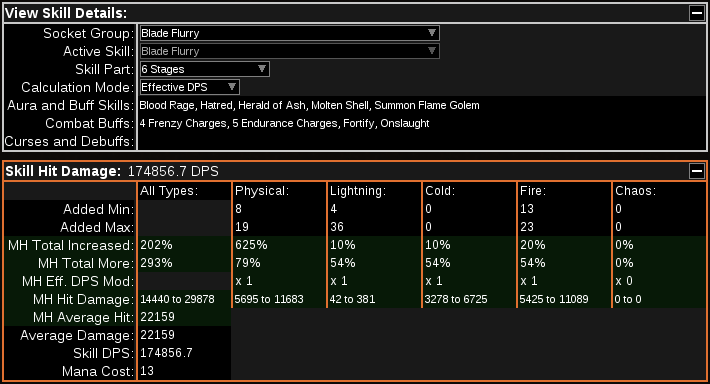 A friend of mine asked me to create a build for him because he started playing Path of Exile some days ago and wanted to try Blade Flurry. I wanted to make a tanky, easy-2-play and cheap dude. 1) Soul Taker: No mana problems ---> EASIER BUILD. 2) High Life/High Armor: You can't die ---> EASIER BUILD. 3) Varunastra: High versatility ---> EASIER BUILD. Nice damage boost, life and Evasion (Armor). Cheap and good ring, can be changed for a ring with resistances. We'll kill a lot of enemies really fast so Onslaught will be always up. A bit of Armor and Life Leech. Endurance Charges, Life, Armour and Life Leech. Perfect for this build! Why you ask? We need 111 Intelligence to use Concentrated Effect. Oak: Phys.Dmg.Reduction and Physical Damage are the core of this build! -Use Frost Blades to level. -At level 28 buy a Lakishu's Blade and get 3 sockets and 3 links on it. -Try to gain 333 Life every Act. There are a lot of skills that work well with this build! My name is Giacomo, I'm from Italy and I have 500+ hours on Path of Exile. My Internet-friends also know me as KnaaViiZ. I'm a good guy, I never flame and I always try to help beginners. If you want to chat or play with me feel free to send me a friend request on Path of Exile (IGN: Wiseryl). Are you sure the Soul Taker is worth it? Seems like all it does is let you not have any mana leech, but Blade Flurry costs so little mana that even 0.4% leech is plenty. I think it is. You can run 2 50% auras and still use your skills. 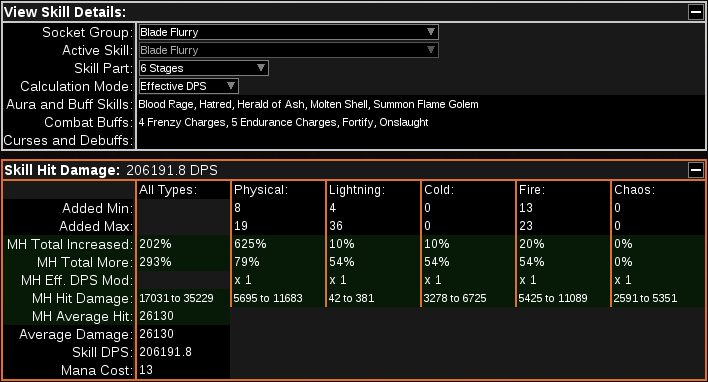 In the first setup, for example, I use Hatred and Determination, Hatred gives me a better DPS than Herald of Ash so yes, I think it's worth. Is is possible to get pastebin to path of building sir? your helm, boots, amulet and 1 ring have no/small life on them. Get more life on those pieces. Also you are missing "Golem's Blood" passive cluster. If you want more life - get more life nodes. hey, what pantheons are you using with this build?